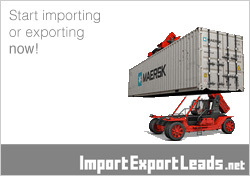 If your company is Australian based, offering manufacturing, products or other services from Australia then please add your website to our Australian Importers and Australian Exporters Directory and help us build the most comprehensive collection of currently active importers, exporters and wholesalers from Australia, submission is FREE. Providing a place to promote your product and company. We offer a full range of services from advertising on our website, translation, print design and printing, and web design. for more information please contact us.